Anonymous, 17 Nov 2013I m planning to buy a phone over 30k.what should i buy either note 2 or nexus5. Plz comment.thanksGo for a vertu phone that runs anroid ics!! I m planning to buy a phone over 30k.what should i buy either note 2 or nexus5. 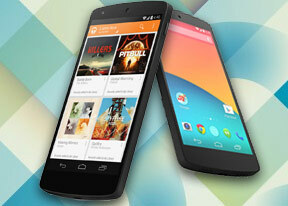 What about Lime pie LG NEXUS 5, have heard bevore...!!? What happened and how? Is there anybody can explain....!!!!! well wht does this mean?? The LG G2 will certainly takes some time getting to Android KitKat and after that it'll will find it next to impossible to keep up with the Nexus 5. I would not recommend purchasing this phone now. I purchased one and had to send it back due to continuous problems with the battery (email sync looping resulting in battery drain), camera lag and the phone's inability to sync to my work place corporate exchange server. It is worth waiting on this for maybe a couple of months until the necessary software updates come through before purchase or you will be left with a severely compromised usage for this period. AnonD-206292, 14 Nov 2013This phone won't last me even a day... Low pricing at the cost of battery doesn't work for me... moreTrue, Google should have put in the 3000ma battery and raised the price by the difference between 2200 & 3000ma. is this available here in oman? and how about the price? is it the same in US? iPhone 5s is better but more expensive. mortuus, 15 Nov 2013crap battery results as expected ... if built in battery on a 5inch phone it should be almost ... more5 hours of screen on time and 24h off the charger and it had 15% of battery left (I'm on stock Android,no battery saving app ,no root. WiFi on,4G/3G on, Sync On) . The reviewers forgot to make a few charging cycles with this device. It improves after three complete charges. The battery life is extremely improved compared to Nexus 4 and many other flagship phones. Hell,it beats Galaxy S4. I'm very much impressed. I have screenshots to prove it too. The thing is blazing fast. And the most important thing is that the camera shutter is way faster than it was on the Nexus 4. You should reevaluate your opinions. AnonD-205267, 15 Nov 2013hi all guys please suggest which would be better option to buy among samsung galaxy note 2... moreDefinitely from the options you mentioned the Nexus 5 will provide you with the best experience in terms of responsiveness/lag free use.. It also has the more capable hardware and you'll be riding the newest Android Versions for the next couple of years. guys please suggest which would be better option to buy among samsung galaxy note 2 samsung galaxy S4 and google nexus 5 in terms of lag free operation. which among these phones is the best performer. my daily usage includes running whatsapp 24X7, checking mails, viewing & editing office documents in doc xls ppt & pdf format, playing video games watching videos & listining music. i do travel freequently & use my phones to capture images whether is a holiday or a business trip so camera also matters for tht fact. looking forward for a prompt feedback & suggestion. it's funny how you mention that the GS4 has an old Snapdragon 600 chip but you didn't do the same with the HTC One, instead, you praised it... Biased comparisons. AnonD-175233, 14 Nov 2013Just a side note, I read somewhere that leaving your phone on the charger at 100% all night ma... moreAlthough it is really recommended to remove your phone from the charger when its 100%, its not dangerous for the batteries health if we forgot to. Because if my memory serves me right, Li-on or Li-poly batteries have an auto-off charge when it reaches 100%. Don't understand how some people are saying the Nexus 5 battery life is poor. I had a S3 before and N5 life far superior. You people need to stop living life through your phones.